Anyone for a game of 'Code Golf'? - FORE! Anyone who has taught Computing / Computer Science will know that the 'coding and programming' strand can sometimes feel like a very dry topic, especially for young children. One way to inject some fun into your coding lessons is to gamily them! For those new to the concept, gamification is the process of introducing game-like elements into a traditionally non-gaming contexts to make them more fun and engaging. Gamification strategies include elements such as gamifying grading, incentivizing students with rewards and adding competitive elements such as leaderboards. 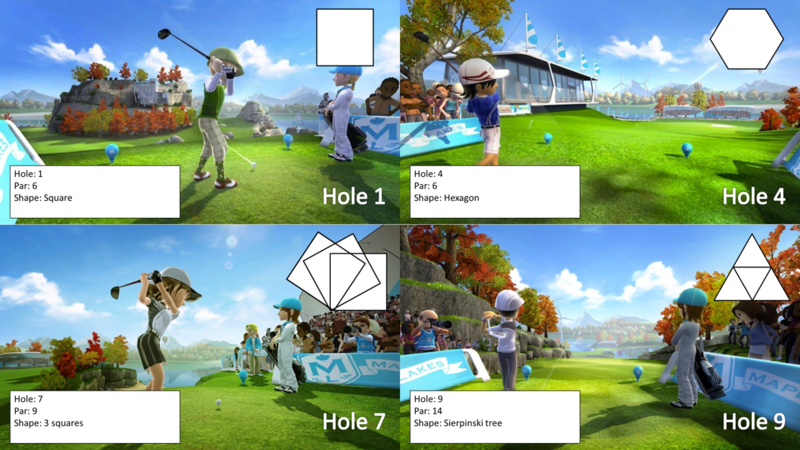 One strategy that exemplifies the concept of gamification in the teaching of coding is a game called 'Code Golf'. I came across the idea of Code Golf at a Computing At School (CAS) conference last summer and have been experimenting with it ever since. The idea is simple, participants are given a problem (or working solution) and are challenged to solve it using the fewest lines of code. The term Code Golf is derived from the similarity of its scoring system to that of conventional golf, where participants aim to achieve the lowest score possible. 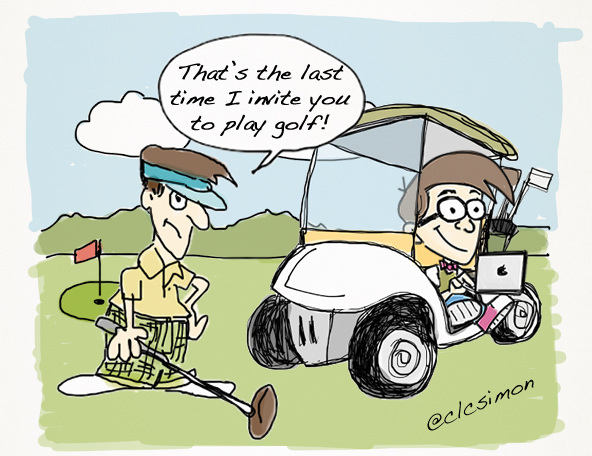 The idea behind Code Golf is to encourage efficient use of code. At GCSE / A-Level, students are required to make efficient use of code in order to access higher grades / mark bands. Efficient code also uses less RAM, compiles quicker and uses up less storage space. Students can use a combination of features such as loops (For, While, Repeat) or sub-routines to achieve their optimised code however, readability and usability must not be sacrificed at the expense of code optimisation therefore, white space and comments do not count as lines; we still want to encourage students to break up and comment their code so that it is comprehensible to others, easier to debug and easy for others to re-use. There are two main ways to play Code Golf. The first way requires students to solve a given problem using the fewest lines of code. The second method, which requires a little more preparation from the teacher, requires the students to optimise a given working solution. In both methods, the challenge is for the students to create a solution using the least amount of code. To add a little extra challenge, the teacher can add a Par value (or target number), with the Par being the optimal number of lines of code. This Par value can be altered for different levels of ability (similar to the 'handicap' system in conventional golf) thus allowing the teacher to differentiate the lesson. The following is an example of a simple 'Par Challenge'. In this example, students are challenged to create a square using the Python turtle library using 6 lines of code (Par 6). Working, but inefficient, solution for creating a square in Python using 11 lines of code. More efficient solution for creating a square using 6 lines of code (or Par 6). Instruct students to open Mark Clarkson's introduction to Python booklet (See link above) and ask them to attempt the Turtle tutorials. Once the students have got the hang of turtle, explain to them that they are going to compete in a game of 'Coding Golf'. Hand out the challenge (See PowerPoint below) and explain to students that challenge is to solve each of the tasks using the fewest of lines of code possible. Click on the link below to download the PowerPoint. Blank lines don't count as lines of code. Comments don't count as lines of code. (We want to encourage the students to comment their code). Import turtle, import random etc. do not count as lines of code. ​​Stack Exchange (Code Golf) - Programming Puzzles & Code Golf Stack Exchange is a question and answer site for programming puzzle enthusiasts and code golfers. It's 100% free, no registration required. Tags: programming language python, python programming language, python coding language, programming languages python, python code language, python programming language example, what is the python programming language, python scripting, language tutorial, what type of programming language is Python, python class, python how to learn, learn python, learn python from scratch, where to learn Python, coding on computer, computer coding, best place to learn coding online, online coding, online code, computer programming and Coding, hour of code program, computer science degree programs, programs for computer science, what does coding mean in computers, how does computer code work, what is computer programmer.